If you want to look bright and attractive, carry this bag everywhere you go. 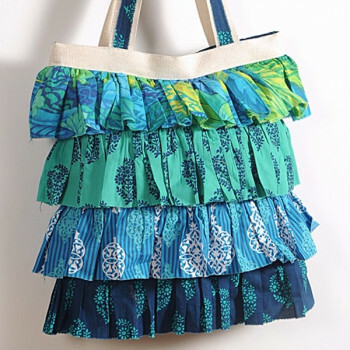 This bag has the looks to entice every onlooker as they are designed by layering multiple fabrics together. They will make you look stylish and sophisticate as they will help you enhance the look of your attire. The most important thing that matters to girls is style. New arrival and trendy things are always the best for girls, therefore attractive bags are introduced. 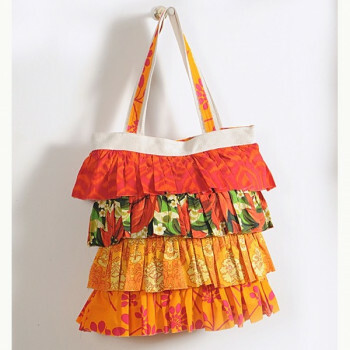 These bags are specially designed for trendy women s they are vibrant and unique. You will certainly feel better when you put this bag over your shoulder. Bags and their trends are certainly reaching the peak as new designs of bags are introduced every day. This new concept of bag has totally changed the view of people towards bags as they are stylish and exclusive. Multilayered with various layers of fabrics, they impart a vibrant image which you can never ignore. Bags have always been fascinating and now with the change on trend, more gorgeous bags are introduced in the market. Nowadays bags are seen in a totally new perspective and are designed in a completely new concept. They are made by merging different colors and patterns of fabrics together. They are layered on top of each other in the form of a frilly design. 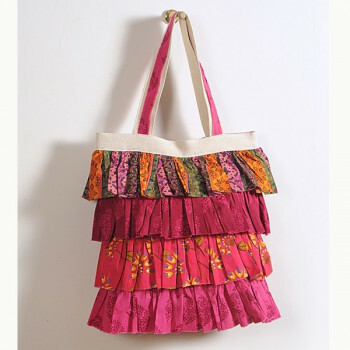 Buy frilly bags from our online shopping portal swayamindia.com and bring a change in your style. These bags are shaped like a skirt to give a glamorous feeling to the one carrying these designer women handbags. 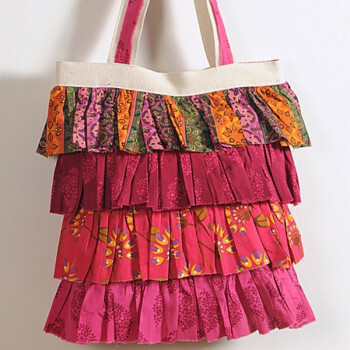 These swayam bags are stitched with layers and layers of fabric. 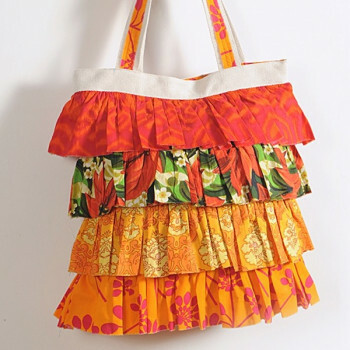 The frilly fabrics are incorporated in various colors and prints to impart a vibrant appearance. You will see a good change in your dressing sense when you bring these bags home. You can carry them with any style of attire as they have the looks to merge with any style of outfit. You can carry them with modern as well as traditional dresses. Go out and display your style to the world. The captivating colors and lively patterns will give you a fashionable look which you will definitely adore. The entire bag is carefully coordinated with each other for a synchronized appearance. They are not just about the look but you can carry a lot of things in these swayam bags, from lunchboxes, books, groceries and clothing materials. You will never feel any stress on carrying these bags as you can carry them on your shoulder or on your grip. 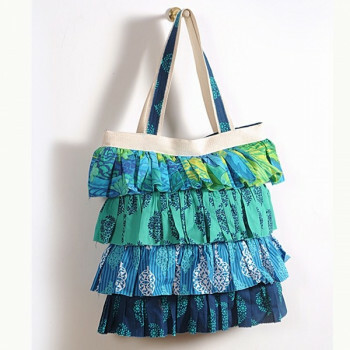 Buy frilly bags online from swayamindia.com and carry your things comfortably. They are strong and fitted with a zipper which will protect your belongings from dust and rain. These multilayer bags have make shopping a lot exciting and convenient at the same time. You can also wash them when required. Visit our website for information on wash care instructions.